Organization are thinking to reduce cost in managing IT –how it is possible, how organization can control operation cost and its expenditure . 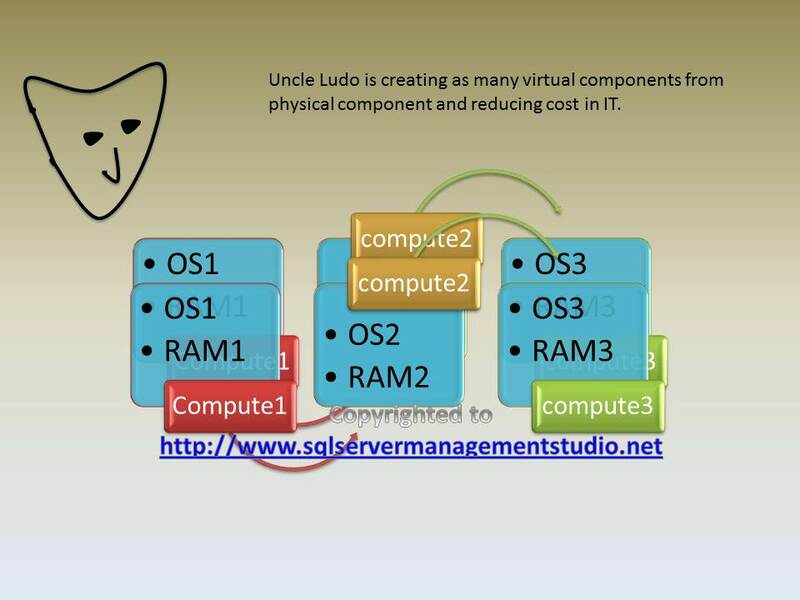 You just imagine a scenario where you are required to manage 1000 computer network with different operating system and its application- simply you have to invest in server , compute, software and licensing of software or server. And above all of this scenario you have to face a lot of difficulties while managing such a huge IT infrastructure. In today’s IT business rule of game is changed – just simplify IT – but the question is how we can manage such a huge scenario or we should invest huge amount in IT, organization are seeking ways to reduce all that cost. Today’s world virtualize environment is the answer to all that issues, virtualization is the technology that allows you to create multiple virtualized environment that can contain your hardware environment, multiple operating system, multiple storage devices environment and multiple network recourses under one host environment - and one more thing – what if you get all that virtual version under one roof to manage them easily- yes- all that component can be available if you work with virtualization technology. If you are making virtualize environment you are just increasing your os server – you can have multiple os including windows 2008 or you can have multiple exchange and sharepoint for different servers in this virtualize environment. There are many products in the market to manage virtualization and create virtualize environment but recently Microsoft has released System Center Virtual Machine Manager 2012 –although System Center is suite of product but virtual machine manager is the product can be used to have multiple operating system in one machine or to create enhanced infrastructure- we used MS VMM because application management is easy there. 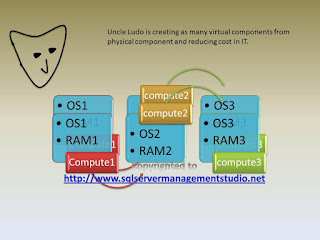 So system center virtual machine manager 2012 is used for managing services and used for provisioning and managing your virtual and private cloud environment and this Microsoft virtualization is becoming more famous because other vendors has other products but I think there is huge license cost involved in that model whereas Microsoft virtualization supporting other product as well as its own model is comparatively inexpensive. This illustration is for learning purpose only. Microsoft system center virtual machine manager 2012 includes number of new and enhanced features- VMM has feature of clustering now where you can have other vmm server stand by when one server is fail so other could play role. Please leave your comments if you have any question.